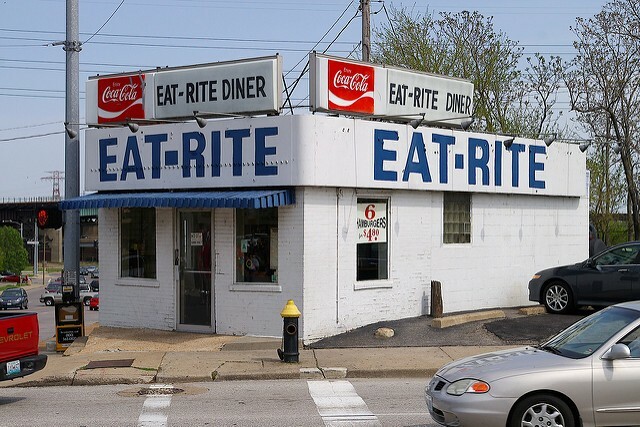 On Tuesday, word got out that St. Louis' beloved Eat-Rite Diner is closed for the next two weeks, if not for good. Owner L.B. Powers told the St. Louis Post Dispatch that the closing was prompted by mechanical problems with an exhaust fan. Now St. Louisans are contributing to a GoFundMe campaign to help replace it. 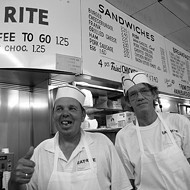 St. Louis resident BJ Kraiberg posted the campaign on Tuesday with the simple title, "SAVE EAT-RITE!" "This beloved hole-in-the-wall has withstood half a century of attempted robberies, cars plowing through the walls, and beligerent (sic) Cubs fans," the campaign reads. "A broken exhaust fan isn't going to stop this Grade A establishment from serving up slingers, not on our watch!" The fundraiser's goal is set at $1,500. As of 5 p.m. Wednesday, eleven donations had been made, with $595 raised. 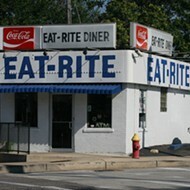 Whether or not a new exhaust fan keeps Eat-Rite's doors open is another matter. Powers also factored in his age when explaining the possibly permanent closure to the Post-Dispatch, saying, "I'm 80 years old. I'm not in good health." The GoFundMe campaign does seem to factor the possibility in — though it's not the desired outcome. 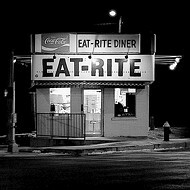 "All funds raised will be delivered in good faith to Eat-Rite ownership for facilities improvements and as a show of STL community support. Worst case scenario this goes to their retirement fund, but let's not let that happen!" 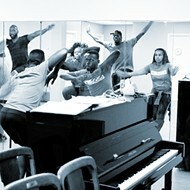 LB and Dorcas Powers did not respond to our message seeking comment yesterday. 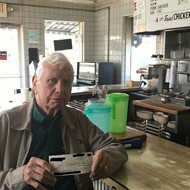 You can make a donation toward Eat-Rite's new exhaust fan at GoFundMe.com.